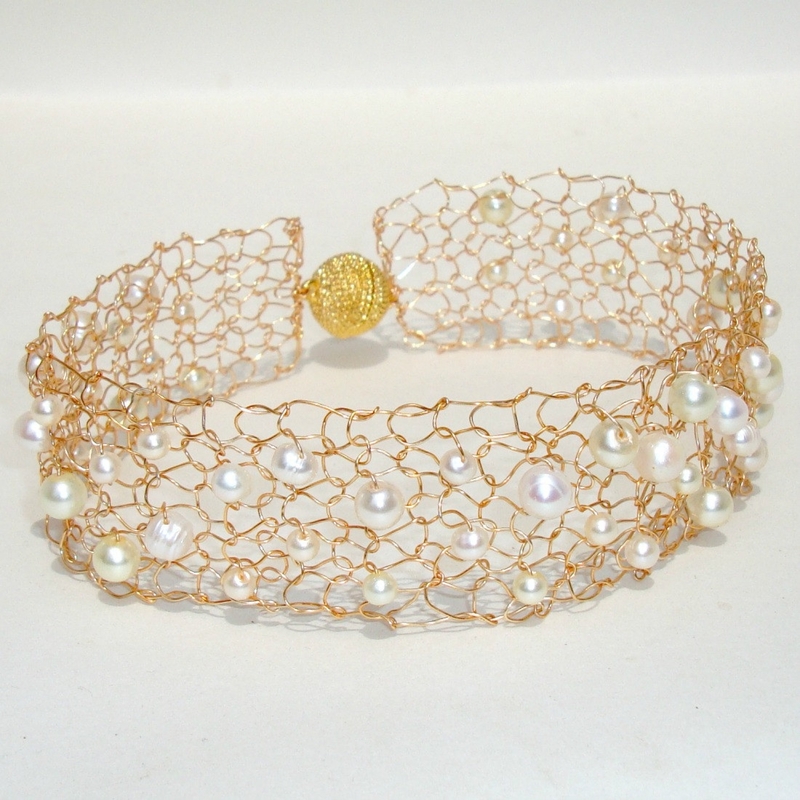 Beautiful delicate gold wire choker with ivory pearls. Feminine pearl collar wedding jewelry. Intricate heirloom piece for that bride to be. 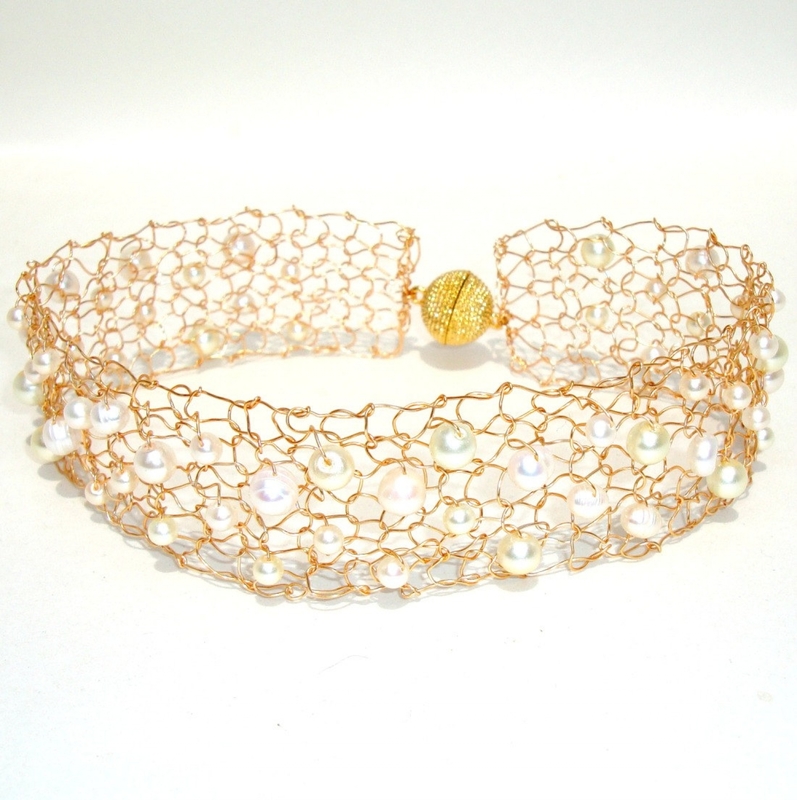 Gold wire and ivory freshwater pearls in champagne ivory cream. 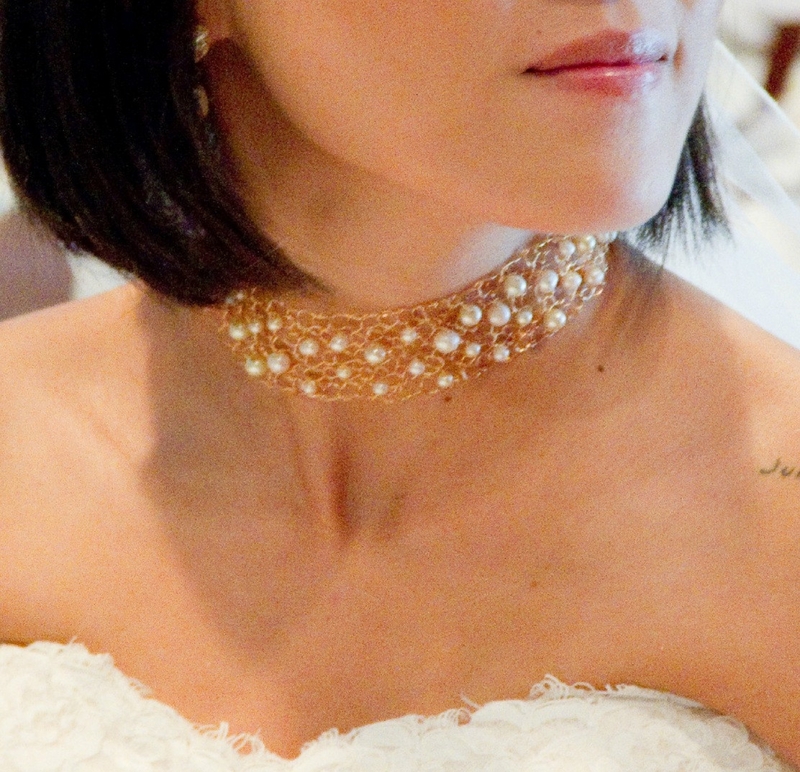 This choker is delicate, elegant and truly stunning wedding jewelry. It is hand strung with all shapes and sizes of fresh water and glass ivory pearls. I then take tiny knitting needles and work the pearls into the knitted piece. It will be custom knit to your neck size and it is finished with a strong magnet for your convenience.